Hello, just eating bread here. BREAD! 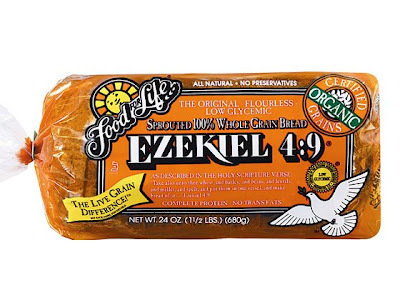 You should've seen me in the grocery store today, shivering in the freezer section, selecting a flavor of Ezekiel 4:9 bread like a kid in a candy store. I selected an old favorite ~ sesame. At the moment, I cannot find the words to describe how good toasted bread smells or tastes. There were tears of joy, and thanksgiving to the Lord. Needless to say, bread is a great start to an amazing week. I have another long blog entry rolling around my noggin, but it will have to wait. For one thing, Johnny and I are still fighting on-and-off-and-on-again colds - a very stubborn strain of the cold virus, apparently. Johnny is using Sambucus immune system syrup (recommended by a friend), and I'm nursing mugs of echinacea elder tea. We will beat these colds, darn it! Other than that, I'm conducting an interview tomorrow (for an upcoming Curator article), we're leaving town on Tuesday, celebrating my birth on Wednesday (with my parents), Thanksgiving on Thursday, driving home on Friday, and Shiva on Saturday (another birthday celebration). A busy week, yet very fun. Details to follow, but let me just say there will be a cupcake on my actual birthday. I hope y'all have a beautiful Thanksgiving with those you love. There is so much to be grateful for, no matter our state of health. Cheers! ah, if only you were closer so i could whip up a batch of homemade cinnamon rolls to celebrate all this holiday, birthday, i-can-eat-bread day goodness! Woo Hoo!!! Bread is Awesome and a great start to this feast of days of yours. Even more awesome is the fact that you're getting to eat a cupcake!!! Yummy! I'm so happy for you. Have a safe trip and enjoy your time with family and friends. Praying that you and Johnny get to feeling much better very soon. Thank you Jesus!!!! jenni, I am SO excited for you! awesome!! praise the Lord! so happy for you jenni! Have a fun birthday, and enjoy that cupcake!! :) Hope y'all have a wonderful Thanksgiving. Have a safe trip! I wish i was there to make you lots and lots of cupcakes.. but that might be harmful to your health! i would however make you one big texas size cupcake! 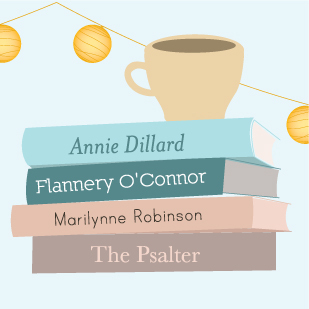 I'm so excited about the healing God has brought about in your life and can't wait to hear about that first glass of wine too! Robyn, did I mention we're taking a bottle of Texas honey wine with us to my parents' house?? Merlot will happen at Shiva. Thanks, y'all! And thanks for each of your prayers.